A couple of weeks ago, I wondered whether the Captain America: Civil War mid-credits sequence meant that Bucky Barnes would appear in the 2018 Black Panther solo movie. (Brief refresher: the sequence sees Bucky being willfully frozen in a Wakandan lab until someone can figure out how to de-program his Hydra brainwashing.) Well, now we seem to have an answer to that very question! Bucky will be in Black Panther — at least according to a not-so-vague hint from the Winter Soldier himself. 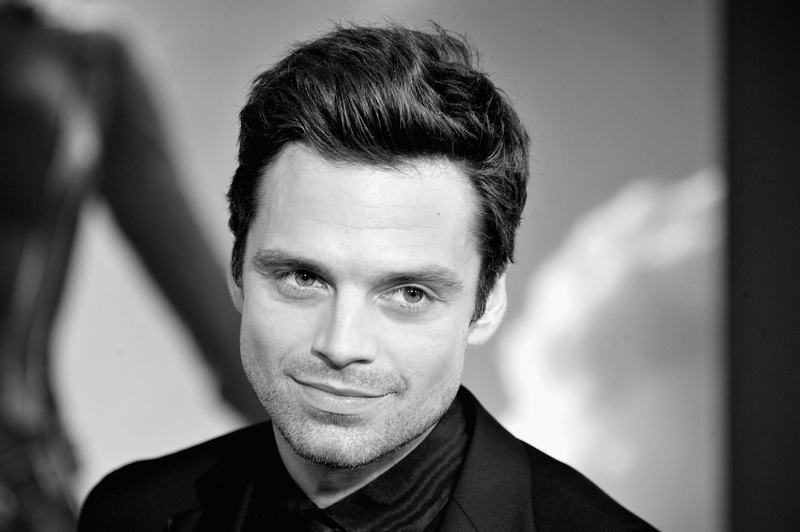 Sebastian Stan dropped the bombshell at a panel during the Wizard World convention in Philadelphia this weekend. When asked whether fans could expect to see his character in T'Challa's first solo outing, the actor replied: "I mean, there’s obviously a very clear answer but I’m not maybe [allowed to] say it, now. Where did he end up at the end of the movie? That’s the movie he should be in. I feel like that would be the natural... But I don't know." Of course, Stan doesn't go so far as to outright confirm his role in the Phase 3 film; but his answer makes it clear he knows something that he isn't supposed to talk about just yet. There's "obviously a very clear answer?" Given that Civil War literally ended with Bucky on ice in T'Challa's home nation, the only "obvious" thing to assume from that scene is that the character will indeed be joining forces with the Black Panther. The Marvel Cinematic Universe is so meticulously planned, with each Phase outlined before it even begins, each individual movie planting seeds for future installments, and each installment furthering the progression towards the Phase-ending Avengers movies. So nothing in the franchise is done by accident; no scene is a throwaway or exists without purpose. In the MCU, mid- and post-credits scenes are almost always used to tease upcoming movies — starting with Nick Fury's cameo in Tony Stark's apartment in 2008's Iron Man and continuing all the way through the reveal of Hope van Dyne's Wasp costume in 2015's Ant-Man — and there's no reason to believe Civil War's mid-credits scene is any different. In fact, after that blatant set-up, it would be infinitely more surprising if Bucky doesn't show up in Black Panther, since that would make the whole Civil War tease fairly pointless. By any metric, this is great news. Stan's popularity has exploded since Bucky returned from the dead in The Winter Soldier; his tortured antihero is one of the most complex and sympathetic characters in the MCU; and the actor has a whopping seven films left on his contract with Marvel Studios. It will be exciting to watch the Winter Soldier and Black Panther transition from trying to kill each other in Civil War to becoming unlikely allies after some inevitable catastrophe strikes Wakanda (perhaps linked to the presence of a certain international fugitive within the notoriously reclusive nation). As long as Bucky's role doesn't overshadow T'Challa's — and there's no reason to believe it will, given how savvy Marvel Studios has been with their movies to date — then news of the character's appearance in Black Panther should be a welcome development for all. As the MCU continues to expand, part of the fun is watching different combinations of heroes team up, whether it be Captain America and Black Widow in The Winter Soldier, Tony Stark and Peter Parker in Spider-Man: Homecoming, or Thor and the Hulk in Thor: Ragnarok. If T'Challa holds true to his promise to help Bucky "find peace" and heal his mind, then the Winter Soldier should be whole and healthy when it comes time to join forces with the Avengers to fight Thanos in Infinity War… and perhaps whole and healthy enough to take up the mantle of Captain America if (when?) his dear friend Steve Rogers falls in battle.